The New Islamabad Airport will be officially inaugurated by 20th April 2018, and all the relevant departments i.e. 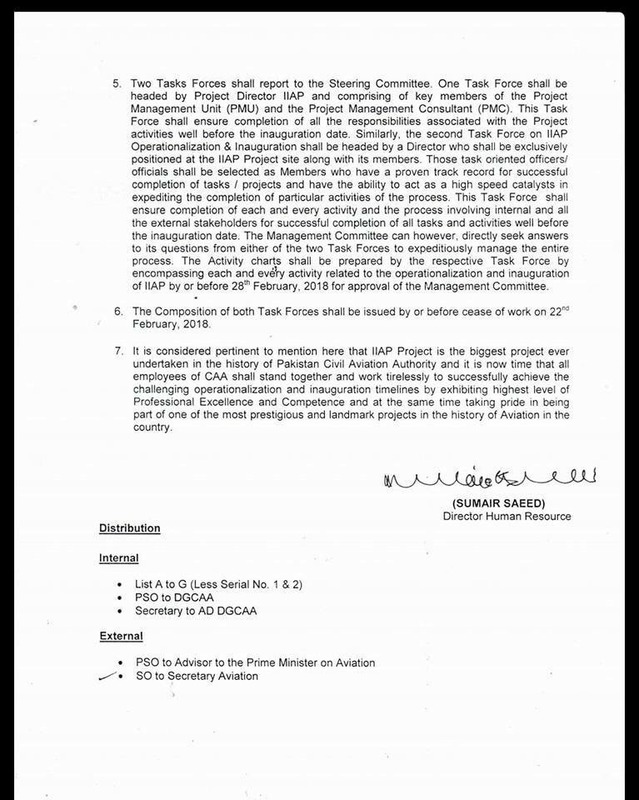 ASF, CAA, Cusoms Department, Immigration, PIA, and other relevant departments have accelerated their preparations to take over NIIAP within next few weeks. Moreover, the authorities have canceled all vacations of relevant governement employees till the inauguration in order to ensure timely accomplishment of this challenging task. Test trials of all the state-of-the-art systems at the airport are being done on regular basis, while flight tests at primary runway and emergency runway have already been done. 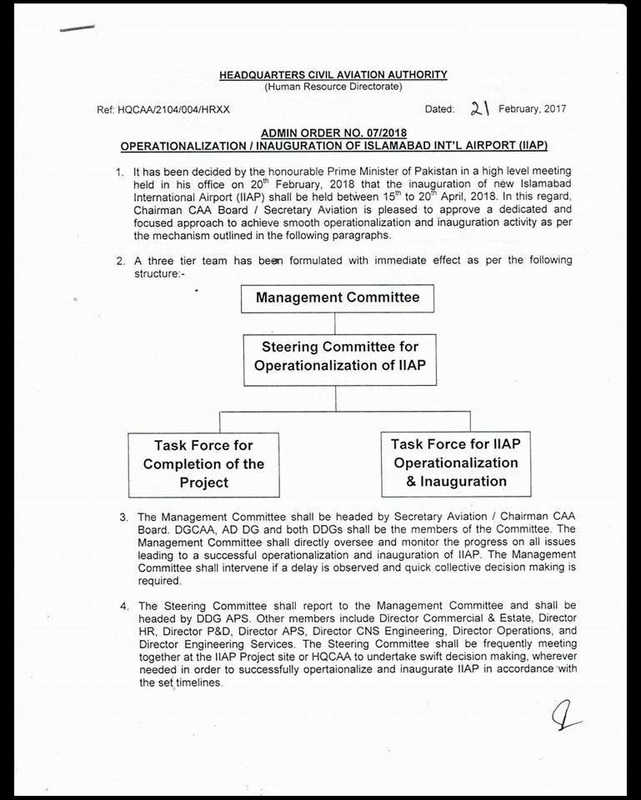 The CAA claims to initiate local and international flight operations at NIIAP right after the inauguration in April 2018. Construction of Metro Bus track on Kashmir Highway is also pacing towards completion, and this task is expected to be accomplished by the end of March 2018. Things seem to moving in the right direction, and finally we are going to see this mega event happening this year. 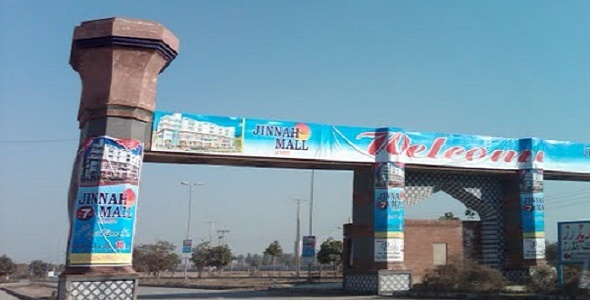 It is important to mention here that New Islamabad International Airport is biggest project ever undertaken in the history of Pakistan Civil Aviation Authority, and it is now time that all employees of CAA shall stand together and work tirelessly to successfully achieve the challenging operationalization and inauguration timelines by exhibiting highest level of professional excellence and competence.